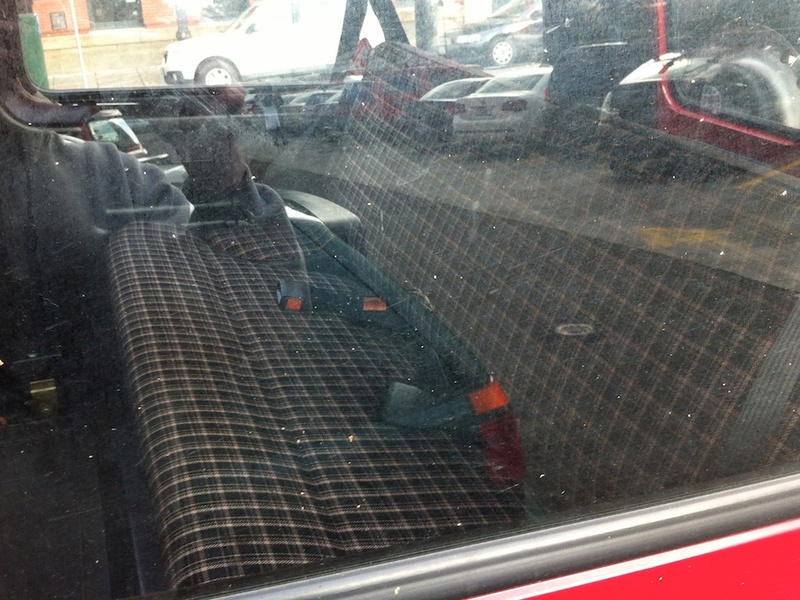 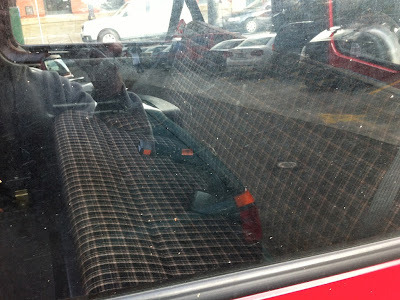 Forgive the crappy phone pics, but 2 doors, bio-fed, plaid cloth to match your smoking jacket and enough rack to strap down Seamus and then some makes for a sweet country rig. 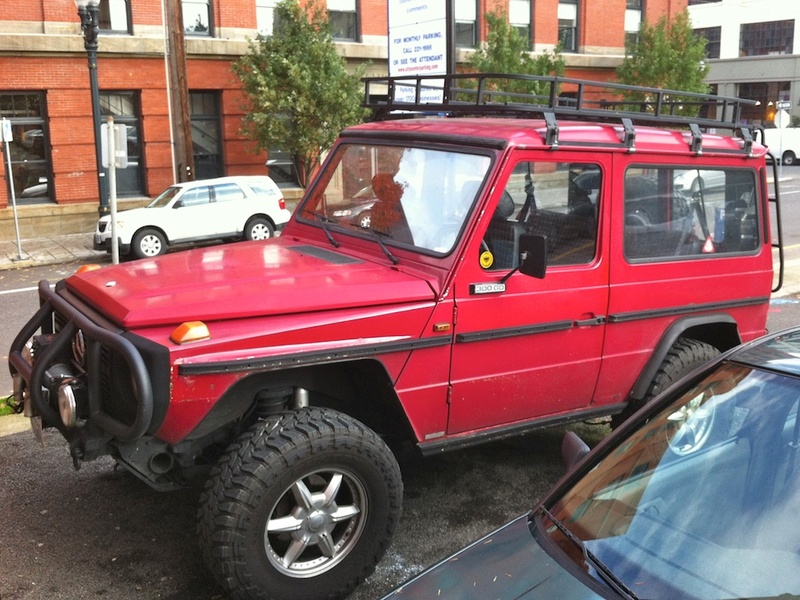 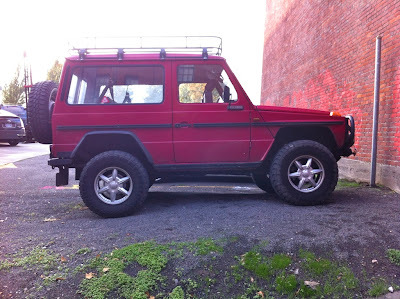 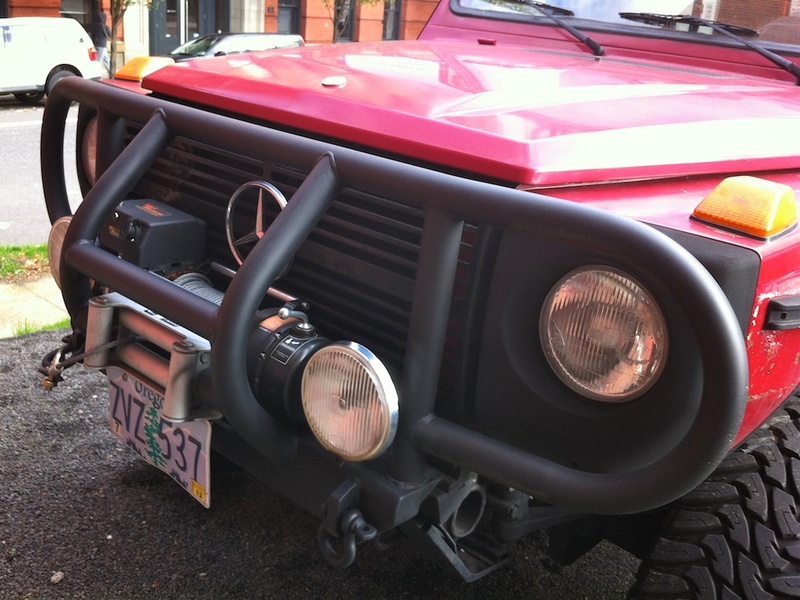 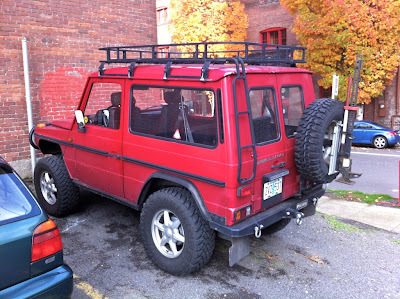 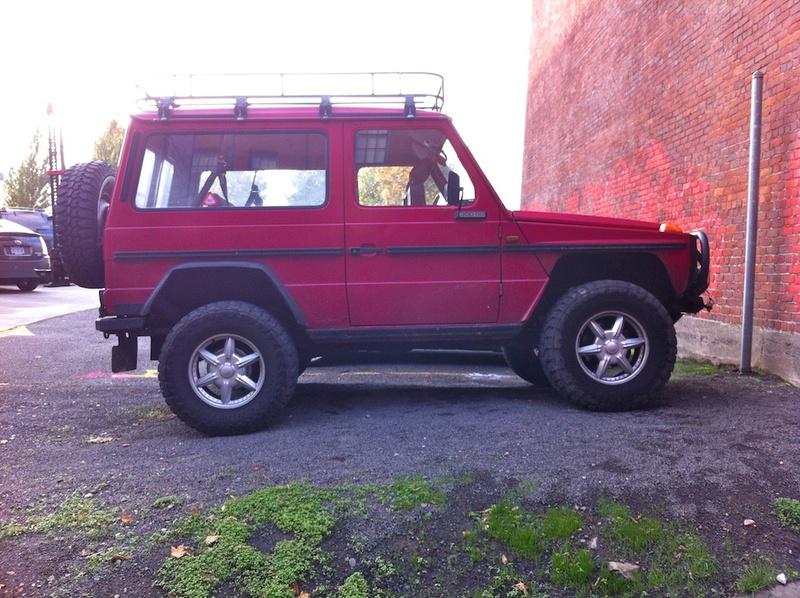 Labels: 4x4, 80's, Biodiesel, German, Jack, Mercedes, Oregon, SUV, Sweet Rack, What Year? No Unimog tag? 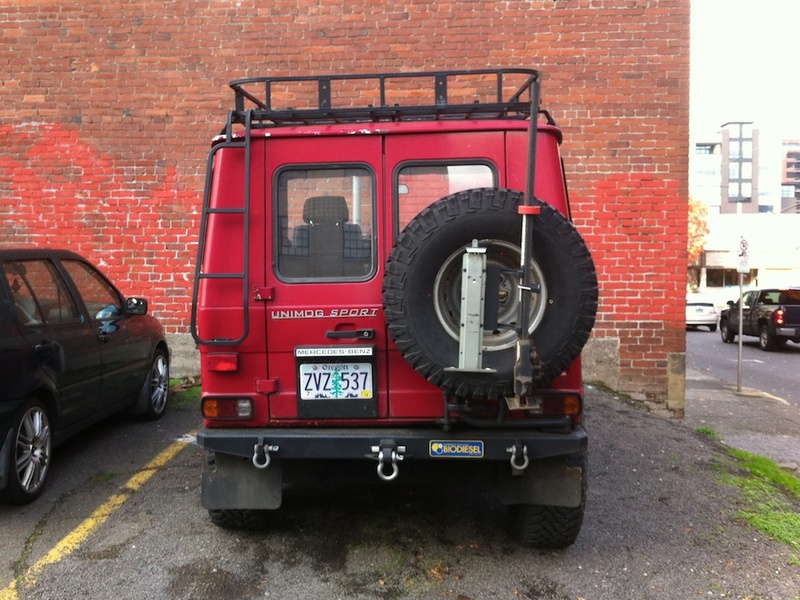 I have no idea if it actually applies, but I spotted this car in NE and just put up the photos. Love th g-wagens, especially the SWBs!